Have you ever walked into your hotel room and found a small piece of chocolate, wrapped mint, or boxed cookie bite on the pillow? Or have you ever received a small candy after a maid replaced your towels or sheets at that hotel? If you've stayed at a few hotels, the answer is probably yes. This is a common practice across the United States, and even in some places throughout the world. The chocolate or mint on a pillow has long been common practice in hotels, particularly among luxury properties. It's a nice tradition: A special treat right before you rest your head on your vacation for some sweeter dreams. But where did that tradition start? The answer involves a Hollywood star and a St. Louis hotel. Cary Grant, one of the funniest yet most debonair actors of his generation, inadvertently began the tradition while staying at the Mayfair Hotel (now the Magnolia St. Louis) in downtown St. Louis. The legend goes that the married Grant was trying to woo a lover by creating a trail of chocolates that ran from the sitting room in his penthouse suite into the bedroom all the way up to the pillow, where attached was a love letter or some sort. Apparently, Grant thought chocolate was the way to a woman's heart. "On a trip through St. Louis in the 1950s, [Grant] wanted to add a sugary dash of romance to a liaison at the local Mayfair Hotel. Although he was married to actress Betsy Drake at the time, Grant had another, ahem, friend lined up. He allegedly fashioned a trail of chocolates, leading from his penthouse suite’s sitting room into the bedroom before ending up on his pillow. Along with the chocolate was a letter. Unfortunately the contents of his note were lost to time (though somehow I doubt it said, 'Compliments of C. Grant: Have a restful sleep'). "The manager on duty caught wind of Grant’s ploy and, though discreet about its provenance, started the regular practice of leaving a nighttime chocolate on guests’ pillows." The chocolate on the pillow had fallen out of favor at the Mayfair in recent years, and the hotel ceased the tradition. This was a disappointment to many guests who valued the history and the tradition of the Mayfair. However, with the purchase of the Mayfair and its subsequent relaunch as the Magnolia St. Louis in August 2014, hotel management brought back this St. Louis-born tradition. Now, as part of its turndown service, the Magnolia treats guests with chocolates from Bissinger's, one of the finest chocolatiers in the nation. 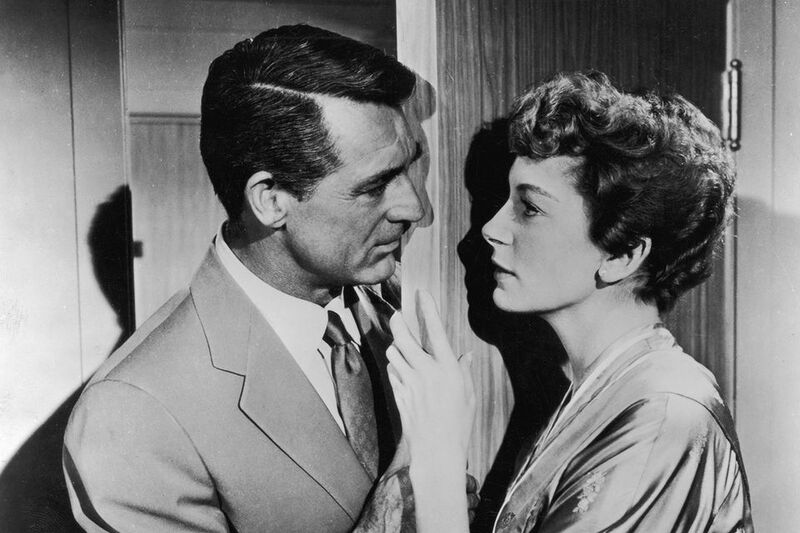 Furthermore, guests who stay at the Magnolia can go all in on the Cary Grant experience by staying in the Cary Grant suite, located on the 18th floor, or by wining and dining at Robies Restaurant and Lounge, which is named for John Robie, Grant's character in the film To Catch a Thief. There's definitely a lot of history to be found at this hotel and they embrace it! So there you have it: The chocolate on the pillow tradition is a romantic tribute to a romantic icon in classic Hollywood. Guests have come to expect the small piece of chocolate, the mint, or some other form of sweet pillow treat such as a cookie bite at any nice hotel throughout the United States, and even many hotels worldwide. Fancier hotels offer expensive chocolates and even flowers with the room, while some less-expensive places may place a simple mint on the pillow. The next time you stay at a nice hotel and enjoy the chocolate, cookie bite, or mint, remember that we have Cary Grant's romantic notion to thank for these little treats!